We create flexible tour packages based on your needs, with visits to the sights of Corinth or sightseeing tours to any other archaeological site of your preference throughout Greece. 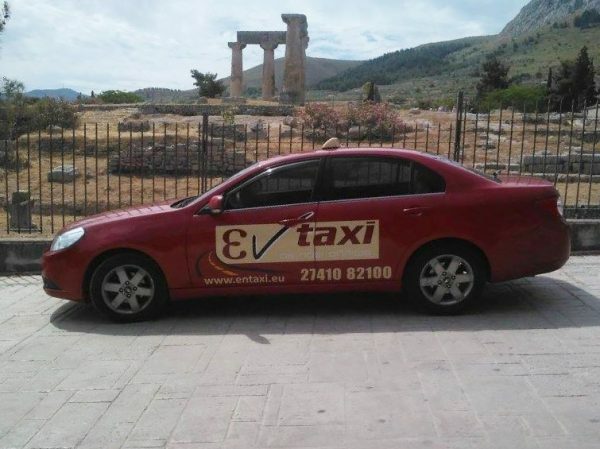 We can undertake your transportation across Corinth, for example the area of the Isthmus Mycenae,Nafplion,Ancient Corinth, Ancient Nemea and Nemea, to monasteries or churches in the region or anywhere else you wish. We do day trips, two days or as many days as you wish, predefined by us or at your option, we carry out all your desires in comfort and safety, without hassle and overcrowdedness. Through the “En Taxi» company you can fulfill your dream excursion or trip. Our well-equipped vehicles coupled with our professional drivers ,will guarantee an unforgettable travel experience, with comfort and attractive, predetermined prices.